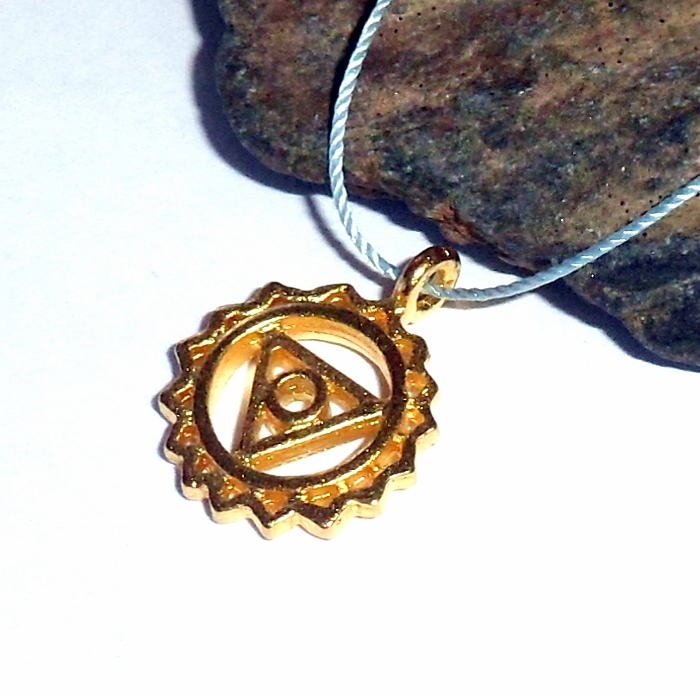 The Throat Chakra represented in an 18 karat gold vermeil charm necklace set on a silk cord. 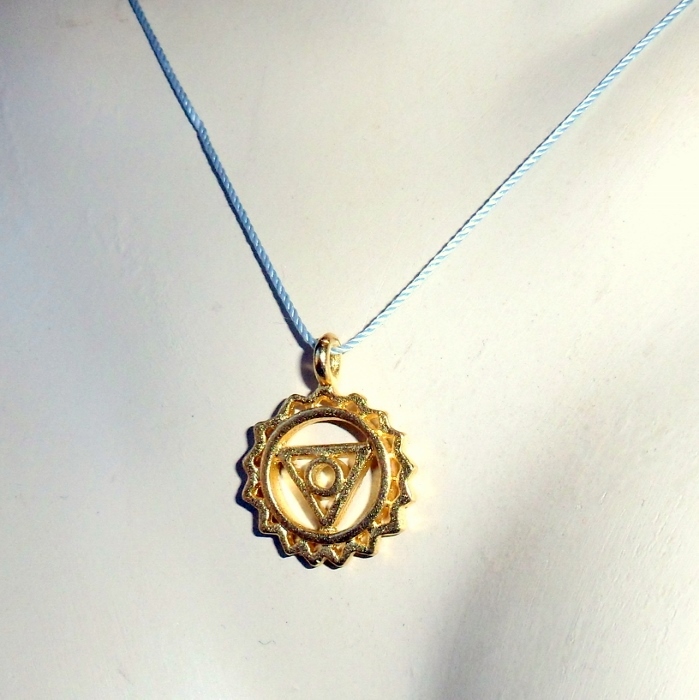 The throat chakra represents our ability to communicate and express ourselves. 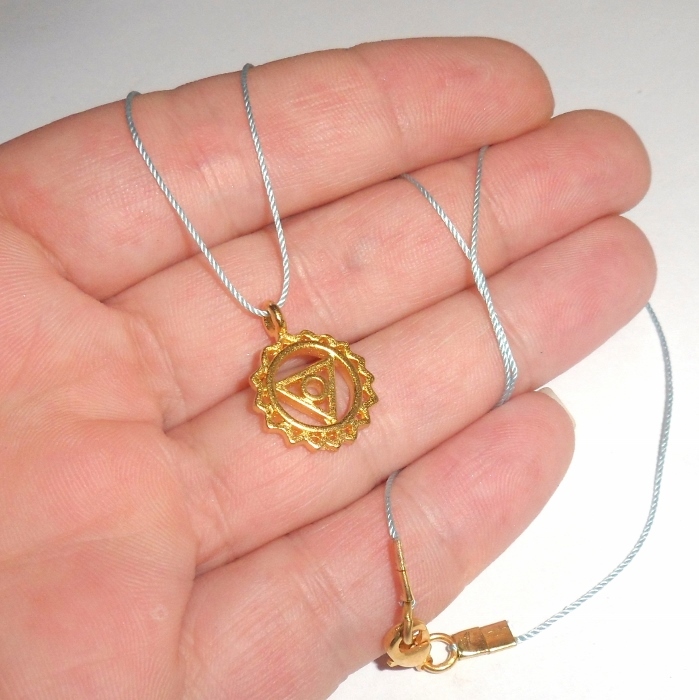 Sanskrit Name: Vishuddha, meaning "Purification"
Necklace is finished on a delicate light blue silk cord. Total length approximately 18 inches with a lobster clasp.